New York police will adjust security plans for New Year’s Eve celebrations following suicide bombing in subway tunnel. New York police will adjust its security plans for the traditional New Year’s Eve celebrations attended by hundreds of thousands of revelers in Times Square following the botched suicide bombing in a subway tunnel beneath the famous district, the city’s counterterrorism chief said on Tuesday, according to Reuters. The New York Police Department will conduct both an immediate and an in-depth review of Monday’s incident for lessons on how to deal with this type of attack, said John Miller, deputy commissioner for intelligence and counterterrorism. “This is the first time I believe that we have seen an individual with a suicide bomb in mass transit and actually have that bomb function. So we’re going to take a hard look at it,” Miller told Reuters in an interview. The New Year’s security plan will also consider other attacks such as the Las Vegas sniper shooting on October 1 that killed 58 people and wounded more than 500, Miller said. On Tuesday, 27-year-old Akayed Ullah, the suspect in Monday’s attack, was charged in federal court with terrorism crimes for detonating a pipe bomb in a pedestrian tunnel beneath Times Square. Chemicals inside the pipe bomb ignited, but the pipe itself did not explode, officials said, limiting injuries to the suspect and three bystanders. As a result of this attack, New Yorkers will see an increased police presence around mass transit and places where people gather, Miller said. He did not elaborate on the specific measures. The NYPD cooperates with foreign police to share intelligence and tactics, embedding its own officers in 13 police forces around the world, noted Reuters. In the Las Vegas shooting, a 64-year-old American named Stephen Paddock opened fire on a music festival from his 32nd-floor hotel room. Investigators have yet to assign a motive to Paddock, who killed himself in the hotel room. 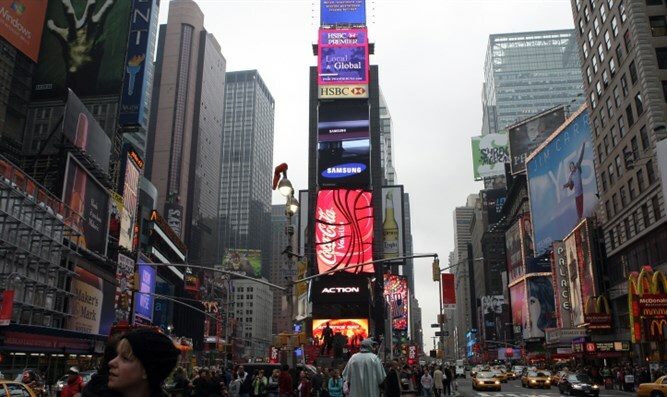 Times Square is surrounded by tall buildings with similar vantage points over the crowd. Police already work closely with the internal security teams at office towers in Times Square, some of which increased the security presence in the lobbies of their buildings after Monday’s attack. The Islamic State (ISIS) has in the past threatened to attack the White House and also threatened Times Square.